Expand view Topic review: Doom TNT: Evilution SC-55 Music Pack Released! Re: Doom TNT: Evilution SC-55 Music Pack Released! I wanted to do something about Plutonia because it has a unique tracklist but it just reuses music from Doom and Doom 2. I didn't want to make new packs and upload what I essentially already have on my website, so what I did was create a batch script to generate a Plutonia music pack automatically. All you have to do is create a new folder, dump a set of Doom and Doom 2 music packs in (doesn't matter which, it'll automatically look for whichever set of ZIP files you got from my website, be it MP3, OGG, FLAC, raw, or boosted), unpack the plutonia_script.zip file and run plutoniamusic.bat. It will automatically pull the required tracks from the Doom/Doom 2 music pack ZIPs, rename each track appropriately, repackage them all into a new zipped Plutonia music pack, and clean up after itself. If it doesn't find any zipped music packs or if it already sees a Plutonia music pack in the folder it'll just cancel. It's best to make a brand new folder just to rule out the risk of accidental deletion of files you may want to keep. It should be pretty idiot proof, but it's just a good habbit to have anyway. Being a batch script, however, it obviously only works in Windows. The package includes the batch script and the 7zip command line tool. Both are required for it to work properly. My condolences. Hope you feel better sooner than later! 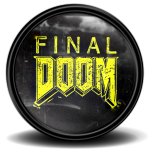 Doom TNT/Final Doom SC-55 music pack released! Available in boosted and raw alternatives for OGG, FLAC and MP3. Includes metadata loop tags for seamless looping playback in-game (except for MP3, which doesn't support custom tags). Once again I apologize for the length of time it took to get this out the door. I'd appreciate any feedback from testing it out to see if everything's working properly. It should work fine and I've done minimal testing myself, but some things just slip through the cracks sometimes. I hope you enjoy it. Also still available are music packs for Doom, Doom 2, Duke Nukem 3D, Descent, Hocus Pocus, and more.